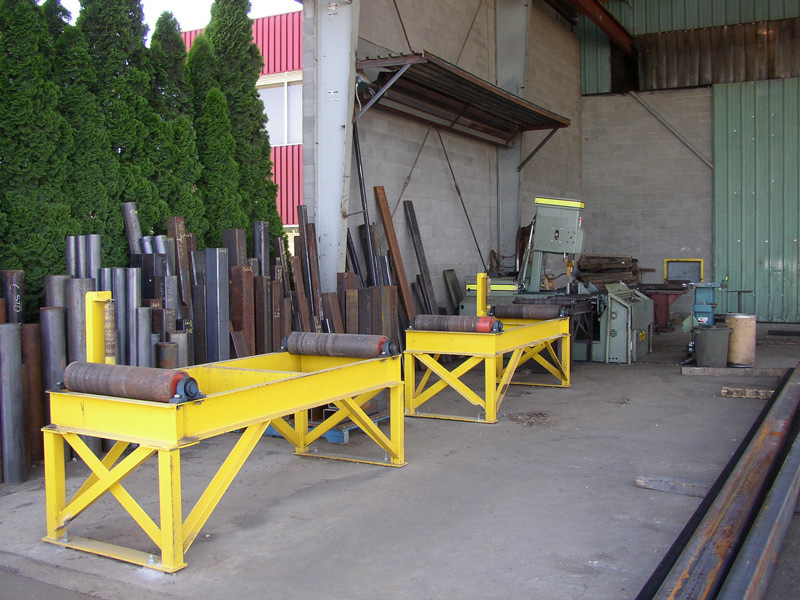 Our Structural Steel Fabrication facility is configured in a flow-through design. 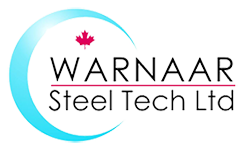 Raw structural steel materials enter in the front after being surface prepped, cut to size and drilled. 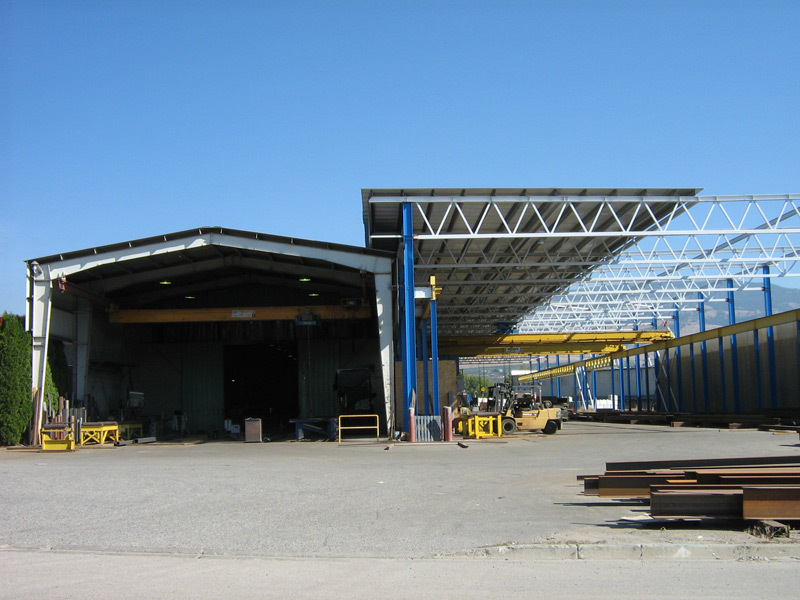 The structural steel then enters the Structural Steel Fabrication facility where it is fed down the line to be fitted by our fabricators, welded and finally painted in our enclosed paint bay at the back of the building. The efficiency of this process helps us outperform our competition while adhering to documented quality and safety standards. 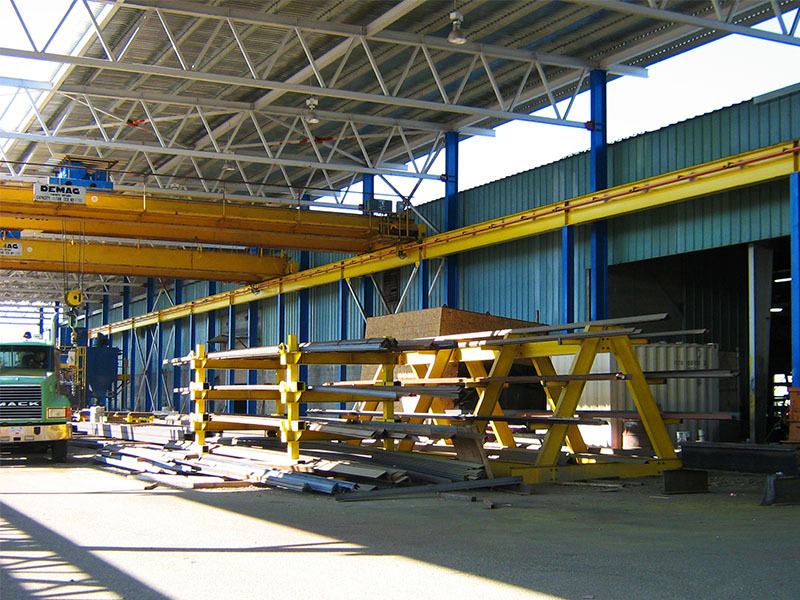 Paint Bay: Separated and capable of being a fully enclosed, controlled environment. 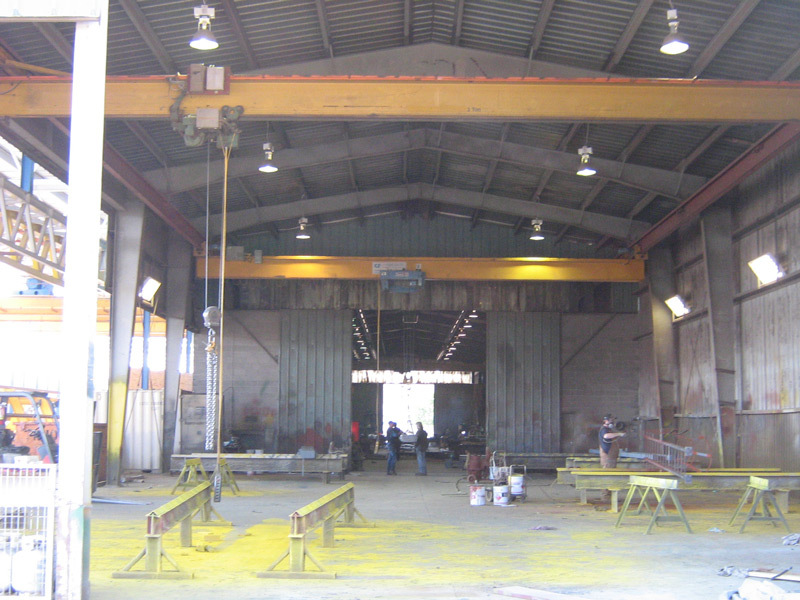 Cranes: 2- 10 Ton Yard Gantry Cranes. 1- 8 Ton Interior Crane. 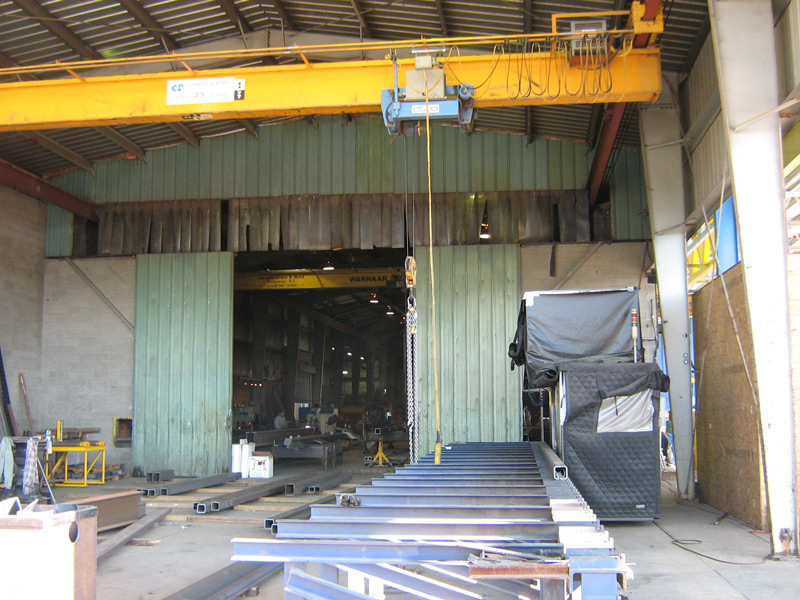 1- 5 Ton Interior Crane. 1- 2.5 Ton Interior Crane. 1- 2 Ton Interior Crane. 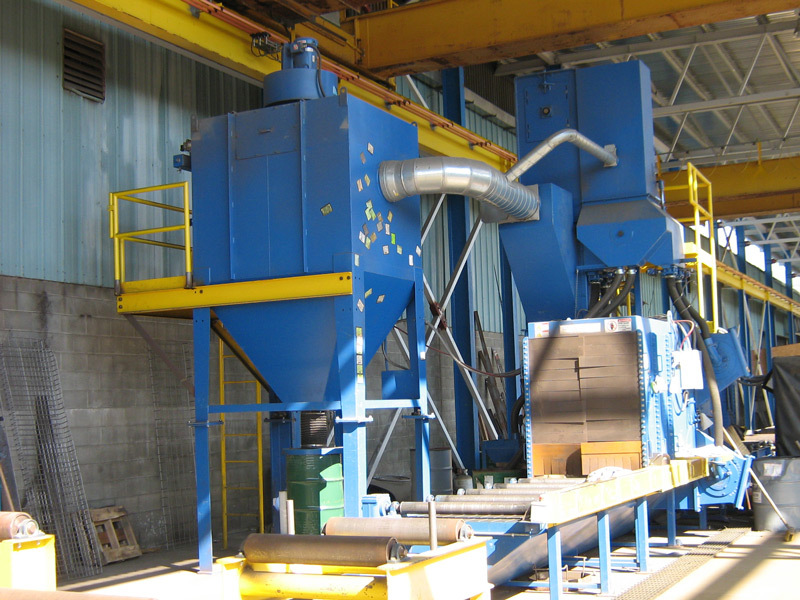 Surface Preparation: Wheelabrator Automatic Shot Peening System capable of obtaining any surface prep as described in the structural steel code. Hole Drilling: Ocean Avenger CNC Beam Drill Line allowing for quick, accurate drilling. 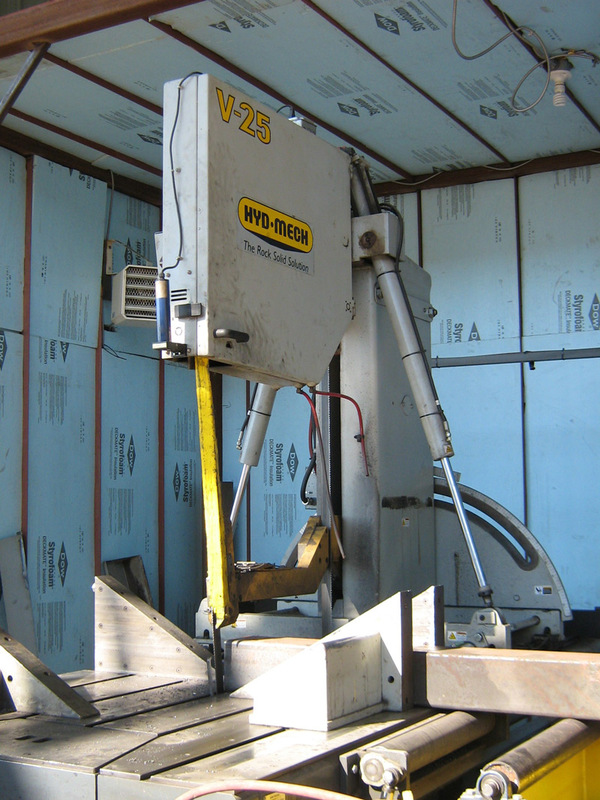 Cutting: 1- V25 Hyd-Mech saw can cut up to 25″ beams with 60° bevel. 1- V18 Hyd-Mech saw can cut up to 18″ beams with 45° bevel.